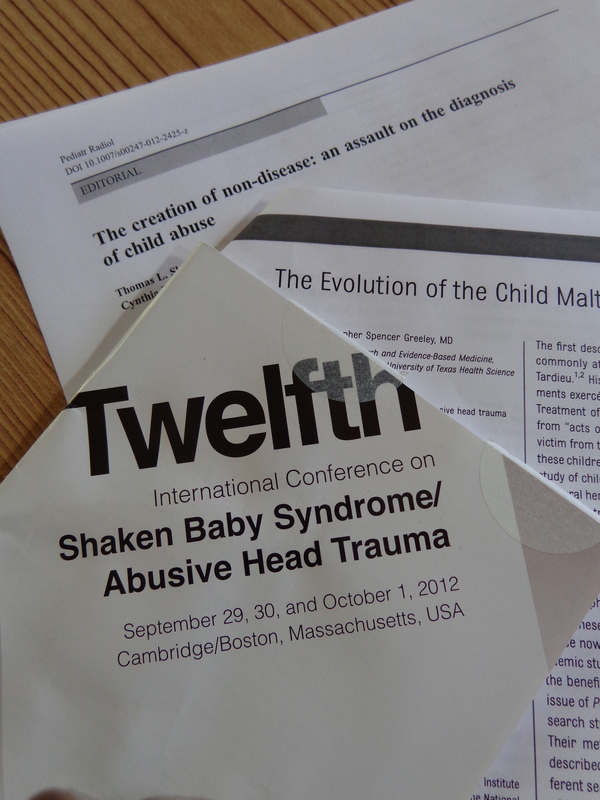 I have returned sobered from the Twelfth International Conference on Shaken Baby Syndrome/Abusive Head Trauma, Sept 29–Oct 1 in Boston. Dr. Robert Block, President of the American Academy of Pediatrics (AAP), opened the conference with an address titled “While We Argue, Children Die: The Consequences of Misinformation,” arguing that the press has been getting it wrong by reporting that shaken baby syndrome is now in doubt. Block encouraged the building of multi-disciplinary bridges, where physicians from different specialties can share experiences and learn from each other. Conversation is difficult “with people who are emotionally invested,” he said, and he would welcome the entry of the Institute of Medicine and the National Academy of Sciences into the arena. Monday morning’s keynote address—”A Wolf in Sheep’s Clothing: Denialism in Child Abuse Pediatrics” by Dr. Christopher Greeley, professor of pediatrics at the University of Texas Health Science Center—reaffirmed that there is no disagreement within the medical community about abusive head trauma. Dr. Greeley’s slide show of media denialism included offerings from major news outlets (the 2008 Discover magazine piece by Mark Anderson, Prof. Deborah Tuerkheimer’s 2010 New York Times op ed, Emily Bazelon’s New York Times Magazine cover story, and the Frontline/ProPublica/NPR critique of child death investigations) as well as small internet voices (the Medill Innocence Project, MedicalMisdiagnosisResesarch, Medical Veritas [which seems to be an anti-vaccine organization], this blog, and the EBMSI conferences), plus a radio commentary by Phyllis Schlafly. Donohoe had searched the Biomednet Medline database using only the phrase “Shaken Baby Syndrome,” Greeley pointed out, four years before the phrase was officially adopted into the Medical Subject Headings maintained by the National Library of Medicine. Donohoe did not search for terms like “abusive head trauma,” “child abuse,” “subdural hematoma,” or any of the other phrases that might have captured additional relevant articles, Greeley charged, and then he didn’t even read all of the articles he found. Although Donohoe’s search was conducted in 1998, the article wasn’t published until 2003. Greeley said that his own search using Donohoe’s described strategy, even limiting the time range to 1966-1998, produced far more citations than the 54 Donohoe reported. (Greeley did not, however, offer any examples of papers that would have provided stronger scientific support for shaking theory than those Donohoe evaluated). He also criticized medical-journal articles by Drs. Pat Barnes, Waney Squier, Jennian Geddes, and Steven Gabaeff and the “Getting It Right” law-journal article by Findley et al. In other sessions I heard speakers explain that Vitamin D levels in a newborn are unrelated to bone fragility, hypoxia does not cause subdural hematoma, and physicians always do a complete work-up for other conditions that might cause the symptoms before diagnosing abuse. While I’m still puzzling over the medical possibilities, I know from personal experience that the third point is an unattained ideal. I had hoped the conversation was opening up, but it’s hard to feel encouraged after being dismissed as a denialist. More to come. We had such an expert in our case which is probably why it was dismissed before trial. Our son is doing great! 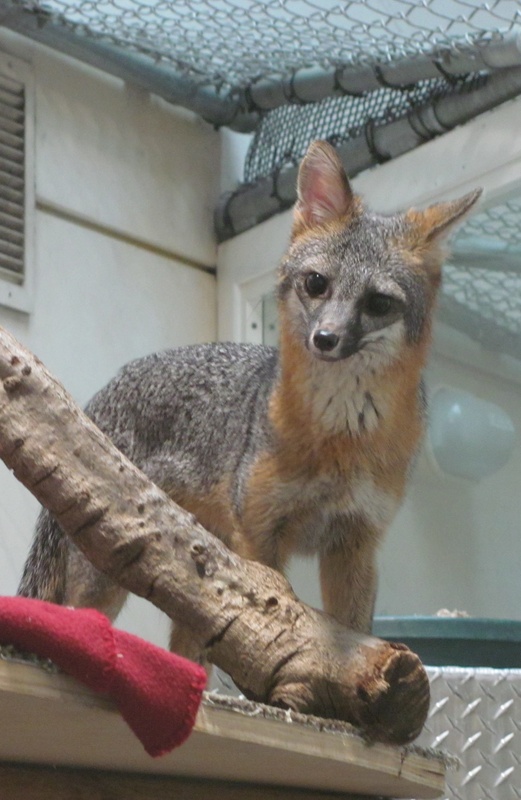 He has a bleeding disorder where the test requires the blood to be tested shortly after being drawn. If other children have this disorder and do not survive, the test cannot be done. For some cases this sounds like reasonable doubt to me! Anne, we are in the same situation as we have a Dr diagnosing a bleeding disorder in our twins. Of course CPS & the state say its abuse & it is so shocking that they are still denying the evidence of this bleeding issue. Do you mind telling me which particular bleeding disorder your child has? Thank you in advance! The childrens’ hospital here ran all of the tests they can and was unable to determine what is causing our son’s platelet disorder. We have information for another doctor in CA but have been warned that not everything has been discovered yet and we may never know what is causing the problem. Where is all the expert documentation that proves vaccines cause retinal and subdural hemorrhaging in a high percent of these cases? Is this FACT still being hidden and kept secret so the damage can prevail? I find it interesting that it appears the “medical authorities”, child abuse pediatricians/the pediatric medical community, are fiercely defending their stance. Having been falsely accused of harming my child, I know that the case for abuse can be built using these theories when no abuse has taken place. They got it wrong, period. If they can get it wrong in my case, it’s probable that they get it wrong regularly. I find it very difficult to take the science seriously given that they got it wrong in our case; that doesn’t make me a denialist, it makes me a doubter. And science without doubt isn’t science anymore. The defensiveness/steadfastness is more telling as to the credible threats posed by reasonable criticle thinkers (all of us “denialists”) than it is the accuracy/credibility of SBS/AHT theory.